Deplanchea tetraphylla (R.Br.) F. Muell. A beautiful tree which flowers in the dry season. 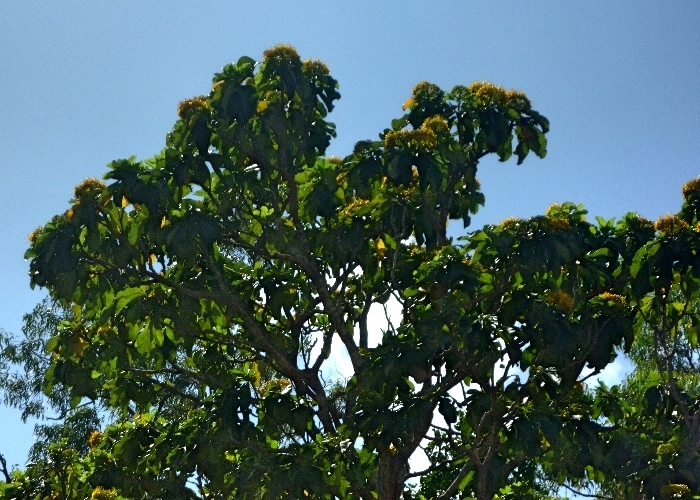 A common street tree in Cairns.This species was collected by Banks and Solander at Cooktown in 1770.